Travel to my investment property property... can I claim a tax deduction? TRAVEL EXPENSES AND PROPERTY INVESTMENT TAX DEDUCTIONS. From 1 July 2017, property owners cannot deduct an outgoing for travel related expenditure to the extent that it relates to residential property/premises. Therefore airfares, accommodation and motor vehicle expenses incurred to travel to a residential rental property for inspection and/or maintenance purposes will no longer be tax deductible against the rental income derived. Excluded entity – companies are excluded from the provisions. Type of property – only residential premises are covered by the new rules, therefore commercial and industrial properties are excluded. Type of activity – the new provisions do not apply if the taxpayer can show that they are ‘carrying on a business’ for the purposes of producing assessable income. Self-managed superannuation funds are also caught by these new provisions. Therefore, expenditure incurred by the trustees inspecting a residential property owned by the super fund will be non-deductible for tax purposes. With that said, a trustee can be reimbursed by the super fund for any direct expenditure incurred relating to the inspection of the property. However, as mentioned above, this expenditure won’t be tax deductible to the super fund. As has been the case prior to 1 July 2017, travel related expenditure relating to residential premises also can’t be included in the cost base of the asset for capital gains tax purposes. 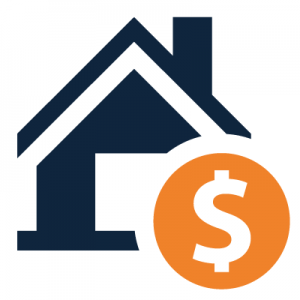 Need more information about investment property tax deductions? If you would like to discuss any of these strategies, please contact your Stratogen Accountant on 07 5474 0711. Stratogen Accounting consists of a team of chartered accountants and highly experienced financial advisors who assist with all aspects of wealth creation including property investment, negative gearing and claimable tax deductions. Our accounting firm’s head office is located at Noosa on the QLD Sunshine Coast. Our expertise is unparalleled and thus we work with clients living interstate around Australia and internationally.